The Committee had to deal with issues arising from its report on the Small Enterprises Ombud Service Bill, which had rejected the bill. Most of the discussion was about the inadequacy of the Committee’s report, based on the lack of relevant content to substantiate the reason for the proposal and the rejection of the Bill, and if the report submitted by the DA should be considered a minority report, and if the minority report itself should be considered. The Chairperson was concerned because she felt the information contained in the minority report undermined the work done by the Committee and gave a wrong impression of the standpoint of the ANC about the plight of small businesses. 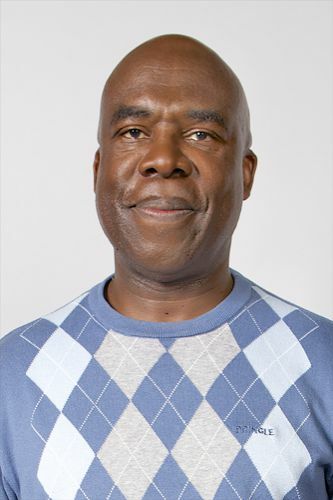 The Chairperson pointed out that the Department of Small Business Development (DSBD) had informed the Committee that it had started consultation towards the amendment of the Small Business Act and the Cooperative Development Act. The undesirability of the Bill had been based on the fact that Members were of the opinion that it was premature to put forward a solution while the Department was still processing the amendment of those Acts. Also, the Bill did not take into consideration the broader perspective of economic transformation, which was race and class based. The Committee’s decision had been that it would not come up with any legislation that did not support small businesses, which had the potential to create 90% of new jobs by 2030. However, its report did not reflect this position. Members agreed that the Committee’s report should be re-written to include the background and processes that had led to the rejection of the Bill, and also that the minority report should be presented within that report. The DSBD made a presentation on its strategic approach to the development of cooperatives in South Africa, which showed that most of its past programmes had failed. It acknowledged that the Department had had challenges in implementing most of the programmes in its strategy, and attributed this failure to inadequate resource allocation. As a starting point, it intended to strengthen the implementation of the strategy through targeted inter-governmental relations (IGR)-level coordination, and the evaluation of the strategy within the next two financial years. It would conduct an assessment of the cooperatives eco-system during 2019/2020. The outcome was expected to guide and improve strategy implementation. Members suggested that a contributing factor was that while the DSBD’s strategy was adequate in enabling the establishment of cooperatives, it fell short in providing the support that would ensure their sustainability. Treasury would be more amenable to providing additional funding if the Department’s budget had a more productive focus. The cooperative development programme was generally seen as a failure, which also inhibited the prospect of additional financial support. The Department was asked how much it would cost to implement the revised strategy in the medium term, and how it planned to resolve the conflict among the existing apex cooperative bodies. 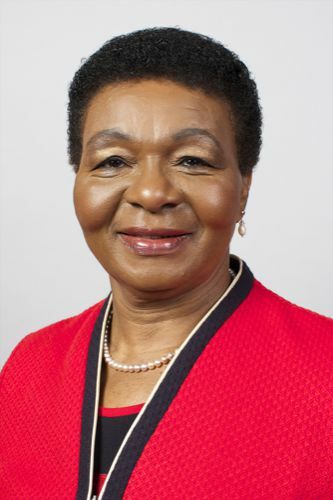 The Chairperson said that the Committee would be considering two reports on the Small Enterprises Ombud Service Bill. One of the reports was written by the Portfolio Committee (PC), and the second was from the minority Democratic Alliance (DA) party. She said that the content of the PC’s report was inadequate, because it was a summary of the deliberations that had led to the rejection of the Bill. She was concerned that the PC’s report did not contain a background to the proposal of the Bill and the processes that led to the Members’ decision to reject it. She proposed that the report should be re-written to include the relevant information, and asked Members to make a contribution. Mr X Mabasa (ANC) said that the interaction between big and small business had been observed by all Members of the PC. He agreed that it was important to re-write the PC’s report to include the background that led to the proposal of the Bill. Chairperson said the PC report concluded that the Bill was undesirable. There was another report by the DA. The DA had acted within their rights to submit a minority report, and that it had to be considered. The report of the PC on the issue had been over summarised and did not provide the reason for the rejection of the Bill. It did not contain the amount of work undertaken by the PC. The insufficient information in the PC’s report could be responsible for the position held by the DA, and led to the presentation of their minority report. Although the minority report attacked one political party, the ANC, Members from all parties had been involved in the proposal and the process that led to the rejection of the Bill. The decision to reject the Bill was not made by one party, but by the PC. Mr Xaba argued that the PC was being asked to consider the minority report, and was not compelled to accept it. It was the responsibility of Members to arrive at a decision. He emphasised the need to add a background to the PC’s report, as inconsistency in the presentation of the report may undermine its work. The DA’s minority report should contain the reflection of other minority parties on the issue. The DA was not the only minority party in the Committee, and so could not speak on behalf of other minority parties. It also appeared that the blame had been cast on the Chairperson. The work of the Committee did not belong to any individual, and that included the Chairperson, so casting the blame on here was not appropriate. Mr Chance should also be aware that a two-page report was not sufficient on the issue, and that more information was needed from the DA. Mr Chance said he had no problem at all with the PC’s report being expanded to give more background and detail. However, this was not about considering the minority report, as the rules refer to the PC’s report conveying the minority report, and although this may be considered by the Committee, it did not change the existence of the minority report. The Chairperson responded that the DA had a legal right to produce a minority report. The report of the PC was a summary which excluded vital details. Mr Chance had participated in all the processes of the Bill, having observed that the playing field was not fair to small businesses through the engagement of the PC with stakeholders. Opinions differ, and he had proposed the introduction of an Ombud Services as a solution to issues raised by small businesses, while other Members had disagreed, being of the opinion that this was not a total solution. They had suggested that a broader approach would be the amendment of the Small Business Act and the Cooperative Development Act. Subsequently, the Department of Small Business Development (DSBD) had been invited, and had informed the Committee that it had started consultation towards the amendment of the Small Business Act and the Cooperative Development Act. The undesirability of the Bill had been based on the fact that Members were the opinion that it was premature to put forward a solution while the Department was still processing the amendment of those Acts. Also, the Bill did not take into consideration the broader perspective of economic transformation, which was race and class based. The first issue was that the facts should be stated, which was what was meant by “economic transformation.” Secondly, all Members -- not only the ANC – had participated in the discussion. The PC’s stand was that it would not come up with any legislation that did not support small businesses, which had the potential to create 90% of new jobs by 2030. The Committee had a duty to protect small businesses, even to the extent of closing down any big business found to be bullying small businesses. However, the PC’s report did not reflect this position. Mr Xaba said Mr Chance had indicated it was not the absence of the background in the PC’s report that had led to the minority report. If rule 166 was not read in isolation, the rules stated that the report of a Committee must be formerly adopted by the Committee, and that it may not submit a minority report, so the PC may not submit the minority report based on the rule. It was not correct for DA to equate itself with the minority report. The report was a DA report, rather than a minority report, and may not be adopted. Mr Chance said other minorities parties were free to submit their reports if they wished to. The report was from a minority of two. There was a need to distinguish between the report of the Committee generally (within rule 160), and the report of the element of legislation, which was dealt with in rule 288. He said the Committee was not considering the minority report. However, the report of the Committee had to convey the minority report. He suggested that the Committee should move to the other business of the day and wait for the PC’s report to be re-written. The Chairperson agreed that the report should be re-written to include the background so that it did not create an impression that the ANC did not care about small businesses, as indicated in the minority report. The minority report also implied that the Chairperson had failed to introduce the Bill, but the Committee was actually still in the process. The undesirability indicated by other parties was that the proposed solution was premature, which was a fact. All the arguments should be included in the PC’s report. Mr Chance said he had introduced the Bill, and there would be not an agreement on the issue. He agreed that the minority report should be included in the PC’s report. The Chairperson responded that Mr Chance had introduced the Bill, believing that the Department had not done any work towards resolving the issue. On the contrary, the Department had come and given an update on the steps they were taking towards the amendment of the Act. The honorable thing for Mr Chance to have done was to swallow his pride and to withdraw the Bill when he discovered that the Department was equally working on the matter. Mr T Mulaudzi (EFF) asked if the minority report indicated that other minority parties were involved in the report. Chance said it did not include other minority parties, only the DA. Mr Xaba said the ANC was not lobbying, but was considering what was on the table. The report did not represent the reality of what had transpired. He agreed that the roadmap to discussing and introducing the Bill should be included in the report. 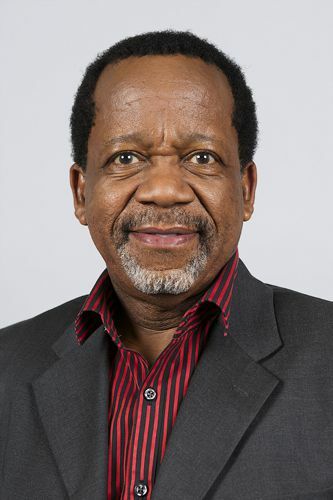 Rev K Meshoe (ACDP) suggested that the report be re-written, and Members should vote to support any of the two reports. The Chairperson read paragraph 2.3, and said there was a misrepresentation of facts in the minority report. The Department had started the process of amending the Acts before the Bill was proposed. She said it would be frivolous of any Member to support the minority report. Ms N Mthembu (ANC) proposed that there should be only one report, which was the report by the PC. The PC’s report should include the minority report, as the view of the DA within the PC’s report. Mr S Bekwa (ANC) supported the suggestion made by Ms Mthembu. Mr Chance said that DA would be happy with one report, as long as it contained the minority view. He suggested that the content advisor should re-write the report and include the positions taken by the parties and Members. The Chairperson agreed that the report should be re-written, and said it would be considered in 2019. She said the presentation of the second item on the agenda was wrong. The PC had made observations during its oversight visits to cooperatives funded by the DSBD. As a follow-up, the Department had been asked to provide information on the status of cooperatives funded by the DSBD since its establishment. However, no information had been received from DSBD. Also, there seemed to be confusion between understanding the difference between small, medium and micro enterprises (SMMEs) and cooperatives, and the roles of cooperatives in the process of economic transformation. All the support structures for cooperatives existed on paper, except for the Cooperative Bank Development Agency, which was not focused on developing cooperative banks. There were no visible strategic plans on how cooperatives were developed in South Africa. The presentation would include the roadmap of DSBD, based on its experience so far. Mr Lindokuhle Mkhumane, Acting Director General: DSBD, said the presentation was a response to a series of presentations made by various stakeholders on cooperatives’ development to the Portfolio Committee on Small Business Development on 7 and 14 November 2018. He acknowledged that the DSBD had challenges of implementing most of the programmes in its strategy, and attributed this failure to inadequate resource allocation. As a starting point, it intended to strengthen the implementation of the strategy through targeted inter-governmental relations (IGR)-level coordination and the evaluation of the strategy within the next two financial years. It would conduct an assessment of the cooperatives eco-system during 2019/2020. The outcome was expected to guide and improve strategy implementation. Mr Jeffrey Ndumo, Assistant Deputy Director General: DSBD, said that most of the programmes in the strategy had not been implemented due to inadequate resource allocation. There was a need to mobilise resources so that the strategy could be implemented. A concerted effort towards the challenges of the DSBD would address the high mortality rate of cooperatives. The proposed changes, when effective, would have many benefits. The provision of economies of scale, accountability and inclusiveness, would help to build a stronger community, as the investment surplus remained in the community and provided many other benefits to member-owners and users. The strategy had moved away from earlier practices that relegated co-operatives to step-children of small, medium and micro enterprises. The strategy recognises the potential of cooperatives to provide business support services. In conclusion, he listed the market segments targeted by the strategy and the status of the implementation. Most of the market segments were yet to be implemented, but a few had been partially implemented. Mr H Kruger (DA) said he was busy with research into the barriers to small businesses, especially in the rural areas. He said very few and outdated local economic development (LED) strategies could be found online. Research done with a German company seemed to be the last time that municipalities had looked at small businesses. He recommended that the Department start with the municipalities. The municipalities should be trained on the strategies. There was no need for a bigger budget, but rather a need to work more wisely by bringing the municipalities on board. There was no reason for cooperatives to be unsuccessful. He proposed that the Department should train the officials who would roll out the strategy in the municipalities. Mr Xaba said the strategy had been detailed and an eye-opener to the potential of cooperatives. He said that the mobilisation of resources had always been a challenge to departments, and asked if the DSBD had a proposal to address it. He observed that ‘economies of scale to increase economic power’ seemed to be the core of the strategy. He asked for clarity on how the beneficiaries were classified. He asked the DSBD to explain the steps that were intended to take the cooperatives to the next level, and to specify a time frame. He said the outsourcing of consultants to implement strategies had been a , and asked if external consultants would be used to implement the strategy. Mr Chance asked if budgeting had been done, and how much it would cost to implement the strategy in the medium term. Had it been discussed with the Treasury, and what had been the extent of the discussion? He said the strategy adopted a top-down approach. There was an ambiguity with regard to the apex body, as it was unrealistic for the Department to endorse one apex body -- it could have more than one apex body and competition. To what extent had the Department engaged with the Chairperson to see if elements of her model could be implemented within the strategy? Mr Mabasa asked what the DSBD required from the Committee by presenting the document. Mr Mkhumane responded that the presentation had been to provide the Members with information on existing strategy, and an assurance of what would be done, based on information the had been made available to the DSBD. Because there have been a lot of contention concerning the apex body, it was to have a discussion around this issue. Mr Mabasa said if cooperatives and small businesses were the core components of growth, it was an anomaly to allocate a small budget to them. He believed that more funds should be provided for the sector. The three spheres of government should move in unison, and departments should move in unison Not enough justice had been done to appreciating the 2005 Cooperatives Act, which had been amended in 2013. The Department had not been able to appreciate the work done through the Act, which would have reduced some of the challenges. He proposed that the report of the Department of Trade and Industry (DTI) on cooperatives should be studied by everyone present. Also, the valuable lessons learnt from educational tours to Kenya and Spain should be incorporated. The inputs that informed the 2005 and 2013 Act should be studied to see if some of them could advance the cause of the DSBD. There was a need to be careful not to repeat the strenuous exercise already done by DTI, but rather to learn from them. A report was needed from the Department of Higher Education on its progress regarding the cooperative academy. He said South Africa needed one apex body, because it helped to host international bodies like the BRICS. There was a need to be prepared to manage conflicts which were inevitable within a single apex body, and not encourage different apex bodies. He proposed that the document should be studied well so that there was no opportunity missed. Mr Bekwa observed that the Department had not explained the reason for the failure of some of the pilot projects, and pointed out that there was no possibility of monitoring or evaluating what was yet to be developed. He asked how far it had gone to develop cooperatives. Mr Mulaudzi said it was disturbing to see this report towards the end of the tenure of the PC. The PC had supported the budget requirements for a long time, because the DSBD had been established for job creation. The Department had acknowledged the challenges in the implementation of most of the programmes, as most of the strategies were yet to be implemented. He asked if the high rate of mortality of cooperatives showed that the Department was moving in the wrong direction. Focusing on small businesses, rather than cooperatives, was not acceptable because small businesses would enrich individuals but cooperatives would empower communities. He said the Department had rejected a model that had been provided to it, and it was a shame that the Department had failed. Mr M Dirks (ANC) asked the DSBD to present the actual strategy report, as he supposed that the presentation had been extracted from it. He expected the strategy would be based on the experience over five years, the study tours and the inputs from the Committee, and with a reference to what the strategy intended to replace. It was also expected that the Department would have identified the shortcomings of the previous strategy in the new strategic report. The strategic document should be submitted to the Committee. Mr Mkhumane said there was a strategic document, where the information covered the period from 2012 to 2022. The strategy was not top-down, as suggested by Mr Chance. The Department was starting with the primary cooperatives, leading to secondary cooperatives and then tertiary cooperatives. Some the entities complained about the DSBD’s involvement, hence the challenges of trying not to be too involved in the entities’ businesses. Mr Ndumo said there was no need to debate the number of apex bodies, because the legislation provided for one apex body, and there was a need for the DSBD to implement this and ensure that the law was complied with. The strategy articulated a number of constraints that affect cooperatives. The baseline study had been to identify the challenges of the system so that the strategy was able to address the identified challenges. Training needs to take place at two levels -- the basic education and the university level. The cooperative academy was expected to be the repository of the knowledge. Military veterans were seen as one of the groups that could benefit -- they could use cooperatives to empower themselves. The Act had included issues of values and norms. The sustainability of the strategy was incorporated in the Act. The programmes of the Department had to ensure that there was a complete life cycle for cooperatives. There were multiple role players -- the Department, non-governmental organizations (NGOs), provinces, district and local municipalities –and the programme had to be able to respond to their needs. Some of the failures of past projects were due to lack of a strategy for a full life cycle for the cooperatives. Mr Ndumo said the programmes were designed so that after funding there would be continuous monitoring and evaluation. The monitoring and evaluation had not been happening in the way it should have. The Chairperson said he did not understand the question. The Committee had found that the Department provided what was needed for the cooperative, and checked to see if the cooperatives were formed, but did not ascertain that the cooperatives were functional. Mr Bekwa said the answer giving by the Department implied that because there was not sufficient funding to sustain the project, they were left to die. He asked if that was a correct answer. Mr Ndumo said the process described by Mr Bekwa was the existing situation, which was the result of the autonomous status of cooperatives. The DSBD had learnt that it must ensure that the cooperatives were sustainable, and that was the direction it was heading. 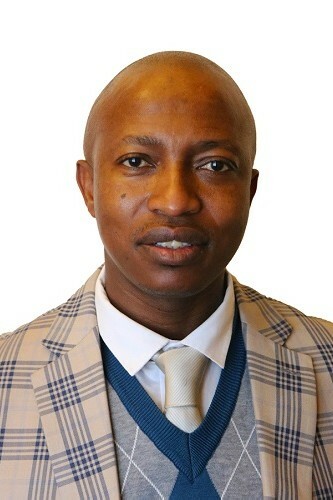 Mr Bekwa expressed concern that Members would soon not be available, as the Committee was nearing the end of its term. He asked if the Department was sure that the strategy would be implemented. The Chairperson said that to move forward, there was a need to confront the truth. The failure of cooperatives in KZN had been due to the fact that the strategic approach of DSBD limited its ability to follow up to ensure the beneficiaries became sustainable before pulling out. She sad a part of the failure was related to the capacity, rather than the approach. There was a need to address the skill development of the cooperatives. One of the four stated pillars to the strategy involved “increasing the non-financial support that cooperatives receive along their value chain.” However, the statement was not specific about what was meant by “non-financial support.” She said that training of cooperatives was essential, without which they would not succeed. The strategy was not a new strategy -- it was a strategy designed by the DTI, which the DSBD had acknowledged. It was right for the Department to adopt the strategy, because it was an approved one. The DSBD should be commended for taking into consideration some of the elements proposed during the discussions. The DSBD now had a focus and had been able to identify different types of cooperatives. Mr Dirk said he had expected the Department to state that the strategy was an existing strategy which had not worked, and had made an effort to improve on it with a a revised strategy. He expressed concern that the strategy had not worked for the past five years, and he was skeptical that it was the way forward. The Chairperson said the DSBD had indicated that the strategy was an existing strategy that could not be changed until 2022. It had therefore proposed what it called a “theory of change” to the existing strategy. Until 2022 the strategy could not change, and thereafter it could change based on the proposed theory of change. The DSBD had been very honest about its challenges. Mr Chance asked how the Department would resolve the conflict among the apparently existing apex bodies. The Chairperson said the DSBD had not established any apex bodies, but the so-called apex bodies were self-established against existing laws. It was the responsibility of the Committee to correct issues relating to the existence of more than one apex body. Ms Senphete Oosterwyk, Chief Financial Officer: DSBD, said that the Cooperative Development Agency (CDA) had proposed an amount of R280m. Treasury had been consulted, and had been clear that there was no new money. The Department was burdened with how to implement its mandate. The Chairperson said the interest of Treasury was to shift from a consumptive budget into a productive budget. It would be happy to facilitate the DSBD’s budget if it was shifted to being a productive budget. She said when development happened at the municipal level, Treasury would be happy because the municipalities would become self-reliant. The approach of the Department to consult with municipalities was in the interest of the municipalities. She agreed with the idea of a national consultative conference so that it would help other departments to understand the need to reduce the overdependence of the poor on government, so that families could provide for themselves. Mr Bekwa said that until now, the picture created was that cooperatives were a failure, and this would affect the interaction between Treasury and the municipalities. These stakeholders would assume it was money that would amount to a waste. The Department must therefore be vigilant to ensure that cooperatives were successful. The Department must be able to support the cooperatives until they were stabilised. Success would encourage support from other stakeholders. Also, a full knowledge of the existing cooperatives and their success rate should be known to DSBD. Chairperson thanked the delegates from the Department for the presentation, particularly for their honesty. It should be observed that leadership had changed. She commended the way the Acting Director General had coordinated the presentation by working closely with his team.